In this post I would like to introduce about 20 new words connected with towns. These words are neccessary if you want to speak about the place where you live or stay. The vocabulary is for elementary and pre-intermediate students and it covers different basic features which can be found in towns and cities. This post contains a video with the correct pronunciation and example sentences. 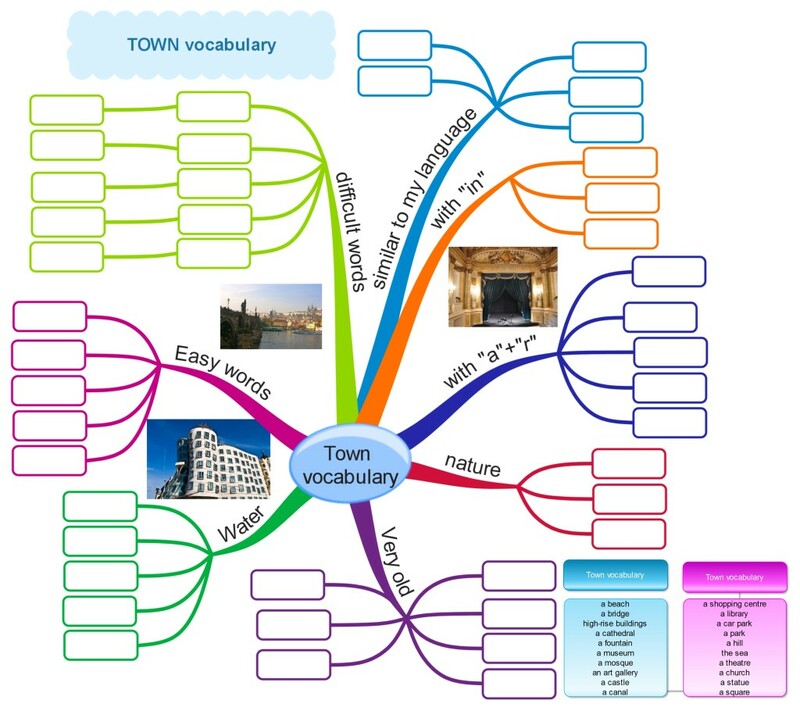 Then there is a mind map to help you organise the vocabulary and learn it. In the last part there are several games to give you an opportunity to practise the town vocabulary. If you feel that you need to practise the words, watch the video several times. The first game will test your vocabulary knowledge. There are several quizzes and then, if you succeed, you can play a game. The game is called Hot race.